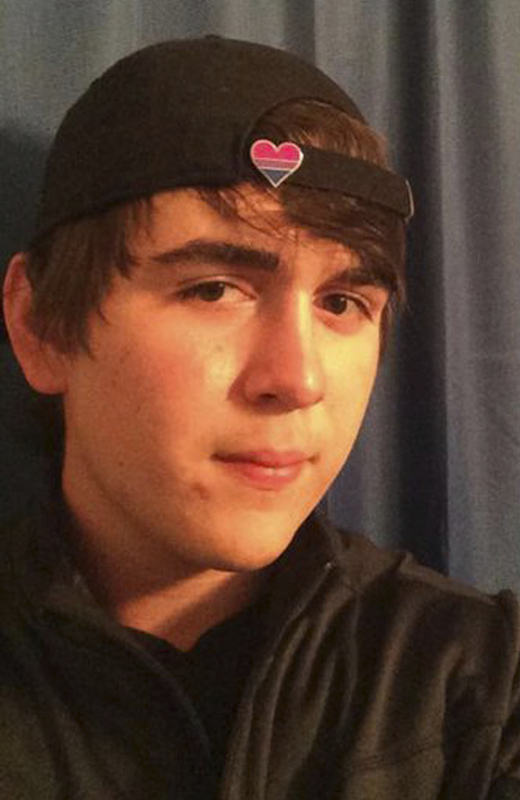 Alleged Santa Fe High School Shooter Dimitrios Pagourtzis: What We Know : The Two-Way Officials have not released a motive, but some information on the suspect and attack is coming into focus. It appears the rampage at Sante Fe High School was planned. Dimitrios Pagourtzis, whom law enforcement officials took into custody on Friday, has been charged with capital murder and aggravated assault in the deadly school shooting in Santa Fe, Texas. Dimitrios Pagourtzis is being held at Galveston County Jail with no bond, according to a tweet by the Santa Fe Independent School District, and has been speaking to investigators. Officials have not released a motive, but some information about the suspect and the attack is emerging. The Pagourtzis family said in a statement on Saturday they are "saddened and dismayed" by the events and offered condolences to the victims. The family said they are cooperating with authorities conducting the investigation. "We are as shocked as anyone else by these events that occurred," the family said in the statement. "We are gratified by the public comments made by other Santa Fe High School students that show Dimitri as we know him: a smart, quiet, sweet boy. While we remain mostly in the dark about the specifics of yesterday's tragedy, what we have learned from media reports seems incompatible with the boy we love." It appears the shooting rampage at Santa Fe High School was planned. During a Friday press conference, Gov. Greg Abbott said information contained in journals on the suspect's computer and cellphone suggested that "not only did he want to commit the shooting, but he wanted to commit suicide after the shooting." The suspect, however, gave himself up because he "didn't have the courage" to follow through with taking his own life, Abbott said. While the evidence points to a planned attack, students who knew the suspect provided an inconsistent description of their classmate. Tyler Ray, an 18-year-old senior, played football for the Sante Fe Indians with the suspect, who was a defensive tackle on the junior varsity team. At a vigil for the victims in the center of Santa Fe on Friday night, Ray told NPR's John Burnett that he would have never suspected his former teammate is capable of a mass shooting — he was just joking with the suspect on a field trip to a Galveston water park on Thursday, the day before the massacre. "One day you think you know this kid, you think you can hang out with him, you can joke with him," Ray said. "And the next day, he's shootin' up the school. You just never know." But Lauren Severin, a 17-year-old junior wearing a cross around her neck, told Burnett that after having a couple classes with him, her impression of the suspect was very different. She said she thinks he was bullied in school because he was different. "I don't think he was normal," she said. "I think he was really strange and quiet. I wasn't surprised when I heard it was him. ... He always wears this weird trench coat and kind of looks like a psychopath." The weapons used in the attack — a shotgun and a .38-caliber revolver — were not "legally possessed" by the suspect but appear to be legally owned by his father, who was not named by authorities. It was unclear whether the father was aware his son had the weapons. On Friday, there were reports of possible explosive devices at the school, at the suspect's home and in a vehicle, according to officials. All but one of those devices were found to be fake. Galveston County Judge Mark Henry said Saturday that police found carbon dioxide canisters taped together and a pressure cooker with an alarm clock and nails inside at the high school, but the devices weren't capable of detonating. Students who knew Dimitrios Pagourtzis provided an inconsistent description of their classmate. One said he never would have suspected, while another said, "I wasn't surprised when I heard it was him." 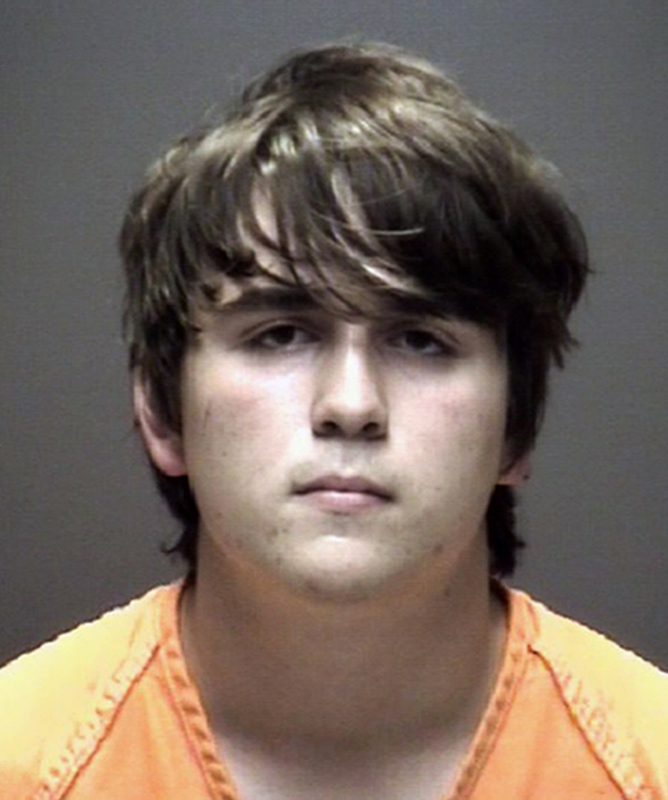 Authorities say the suspect has provided a statement to police while in custody, telling investigators that he didn't shoot his classmates whom he liked "so he could have his story told," the AP reports. The governor said there is nothing at this time that would indicate there were missed warning signs, as in the case of Devin Patrick Kelley, who killed 26 at a Sutherland Springs, Texas, church in November 2017, or Nikolas Cruz, who is charged with killing 17 people at a Parkland, Fla., high school in February. "One of the frustrating things in the early status of this case is that unlike Parkland, unlike Sutherland Springs, there weren't those kinds of warning signs," Abbott said "Here the red flag warnings were either nonexistent or very imperceptible." Facebook posts allegedly linked to Pagourtzis show a black T-shirt with the words "Born to Kill" in white block letters written across the front. Authorities say he had no prior confrontations with law enforcement and has no past criminal history. Attorneys Nicholas Poehl and Robert Barfield, who were hired by the suspect's parents to represent him in court, are urging the public not to rush to judgment. "I think every parent instinctively knows they don't know everything about their kids, but when you find out something like this today, it's extremely hard," Poehl told Houston TV station KTRK. "To those out there watching, try to remember these people are victims too, they didn't know and they didn't expect, and they certainly couldn't have predicted [the shooting]. Prayers to everyone in this whole mess." In some instances in an earlier version of this story, Gov. Greg Abbott's last name was misspelled as Abbot.